There are 13 small individual cabins plus a canvas cabin available for rent. All of them have a microwave and small refrigerator. 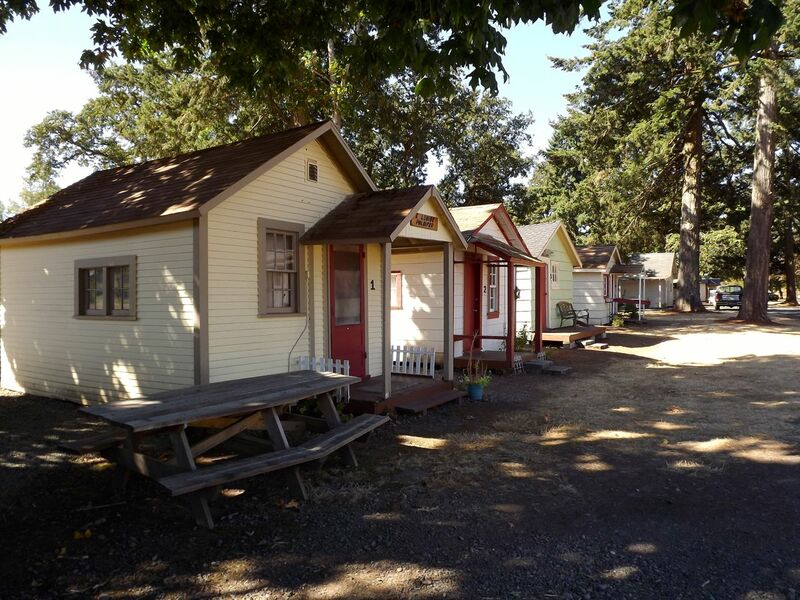 Cabins 6 and 9 have shower, kitchenette, and toilet. Cabins 10 and 12 have a kitchenette and a toilet. There are a variety of beds, bunk beds, and futons in the cabins. Details on the beds in each cabin. Please Note: Bedding and towels are not provided.